To report and characterize cases of very late onset (5 years or more after surgery) flap margin corneal ulcers after laser in situ keratomileusis (LASIK) procedure. 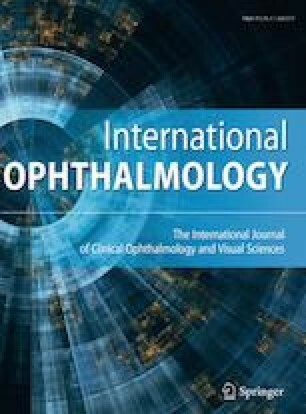 A retrospective case series of consecutive patients who were diagnosed with very late flap margin corneal ulcers following LASIK, between January 2014 and July 2017. All patients were treated with topical antibiotics and were followed up until complete resolution. A total of eight patients, with a mean age of 46.5 ± 11 years, (range 31–64 years), were included in this study. All patients underwent uneventful myopic LASIK 13.3 ± 3 (range 10–20) years before presentation. Patients best corrected visual acuity (BCVA) at presentation was 0.20 ± 0.15 logMAR compared to a final BCVA of 0.10 ± 0.10 logMAR (p = 0.28). The ulcer was located in the bottom two clock hours of the flap margin (5–7 o’clock) in six (75%) patients and superior (11 o’clock) in the remaining two patients (p = 0.048). Seven patients (87.5%) suffered from blepharitis, and only one did not. LASIK may be associated with an increased risk of late-onset corneal ulcer occurring years after the procedure. Instability of the flap margin, blepharitis and dry eye are possible causes of epithelial disturbance and may account for this complication. Informed consent was waived due to the retrospective nature of this study.